"The population cannot survive such disruption. The road is simply in the wrong place." They're known as the Ballina 200, a beloved population of koalas in New South Wales, Australia - and a four-lane highway is about to cut through their home. The new Australian minister for the environment and energy, Josh Frydenburg, approved the controversial plan to expand an existing road the day he assumed office, on July 19, 2016, but kept the decision hush-hush. Only on August 22 did the conservationists fighting to save the Ballina 200 for years find out that the koalas were doomed. Over 80,000 pleas to save the koalas were received by the previous minister when it came to light that the koala population was in danger. "[A] Population Viability Study conducted in July 2014 indicated that if the road went ahead, this population of koalas will likely go extinct within the next 20 to 25 years," Rebecca Thompson-Jones, a spokeswoman for the International Fund for Animal Welfare (IFAW), told the Huffington Post. Unfortunately, since Frydenburg assumed office, these voices have fallen on deaf ears. A study found that bulldozing for the construction of the upgraded Pacific Highway will destroy half of the koalas' food sources. 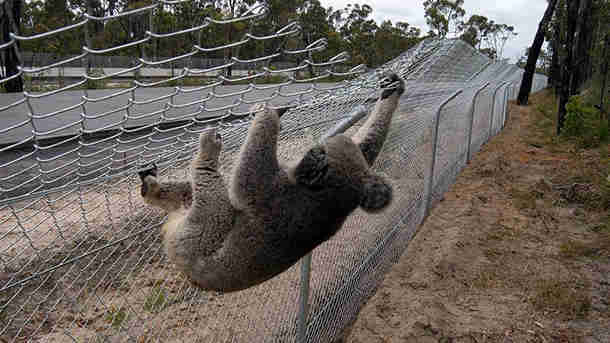 Koalas are already all too frequently hit by cars on the roads in the area. A four-lane highway could only increasingly imperil the population. But the government conducted its own study and found that the Ballina koala population would decline over the next 50 years regardless of the highway, because of disease, predators and deaths on other roads. So, the government's argument goes, since the koalas are doomed anyway, why not build a highway, despite public outcry, that could only accelerate their destruction? "The plan was flawed and manipulated independent science to fit its agenda," Josey Sharrad of IFAW wrote of the government's report. There are fewer than 100,000 koalas left in the wild, according to the Australian Koala Foundation. There might be even as few as 43,000. Now with the highway expansion, there will likely be 200 fewer. "The population cannot survive such disruption. The road is simply in the wrong place," Sharrad wrote. "Sadly, no amount of fences, crossings and tree planting can save them." Click here to add your name to a petition against the highway.